This week on the SyrupCast, MobileSyrup features editor Igor Bonifacic, managing editor Patrick O’Rourke, and staff reporter Brad Shankar talk about last week’s Game Developers Conference (GDC) and the more recent Apple announcements. At last week’s GDC in San Francisco, Google revealed its often-rumoured game streaming platform Stadia. The service will allow users to stream online to any device, regardless of technical specs. The team breaks down the pros and cons of bringing gaming to consumers through a cloud-based streaming platform. Will this be the ‘future of gaming’ like Google has claimed? Speaking of streaming, Apple held an event this week at its headquarters in Cupertino, California to announce a number of new services. The most notable among those was Apple TV+, which will see Apple releasing its own original television shows and movies. 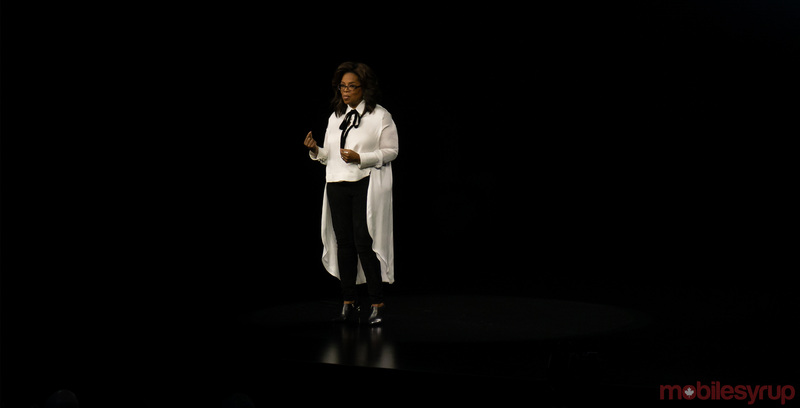 The event brought a handful of celebrities out onto the stage to announce some of the upcoming shows for Apple TV+, but the presentation still left viewers disappointed because there were no actual trailers shown outside of a brief sizzle reel. Patrick’s favourite announcement from the Apple Event was Apple Arcade, which brings users a monthly paid subscription model for mobile games. The SyrupCast crew discusses how this could be huge for mobile game developers, as it brings a new monetization model to the industry. Igor gives his shoutout to Sekiro: Shadows Die Twice. Patrick gives his shoutout to Apple Arcade. Brad shouts out Cuphead, which is coming to the Switch.